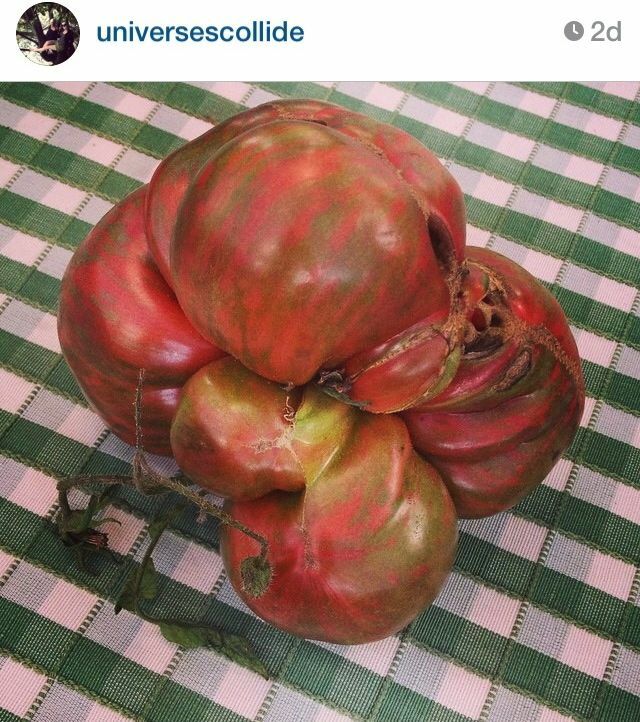 We love the photos that have been coming in to celebrate the ugly, but oh-so-delicious tomatoes at the farmers markets. The above photograph took a landslide of votes to win $20 of Market Money (we’ve all made a mental note to include a baby in our next entries into photo contests). 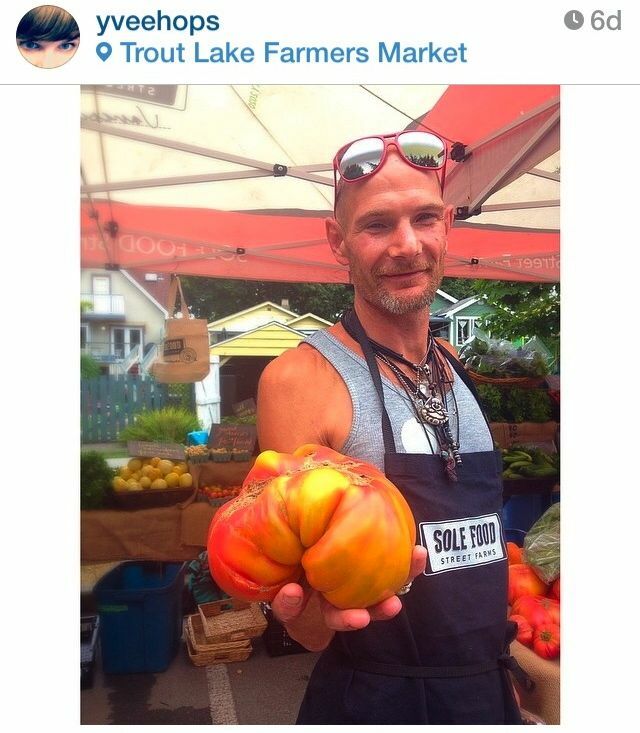 The above excellent specimen was at the Crisp Organics stall at Main St Station Farmers Market. 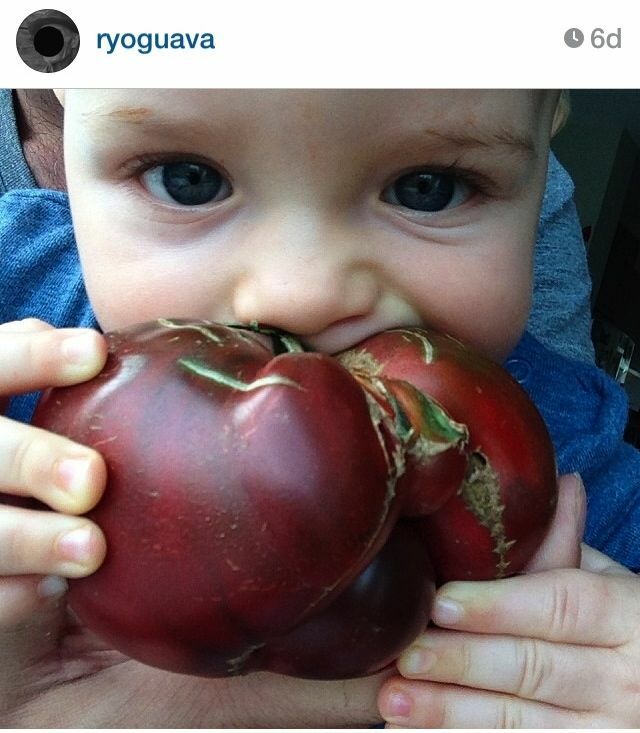 It placed 2nd of all the #inglorioustomato contenders. This molten lava tomato (that can’t be it’s actual name…) was found at the Trout Lake Farmers Market. Sole Food Street Farms tied for third with their enormous, inglorious tomato – photographed twice! 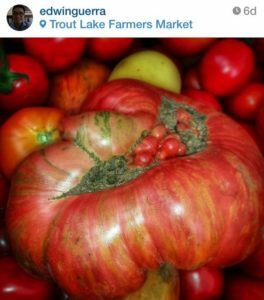 We’ll have lots more inglorious tomatoes (and other gorgeous heirloom varieties) at the Trout Lake and Kitsilano Tomato Festivals this weekend.